IGTV is here and it’s got players like YouTube, Snapchat and Vimeo shaking in their boots. 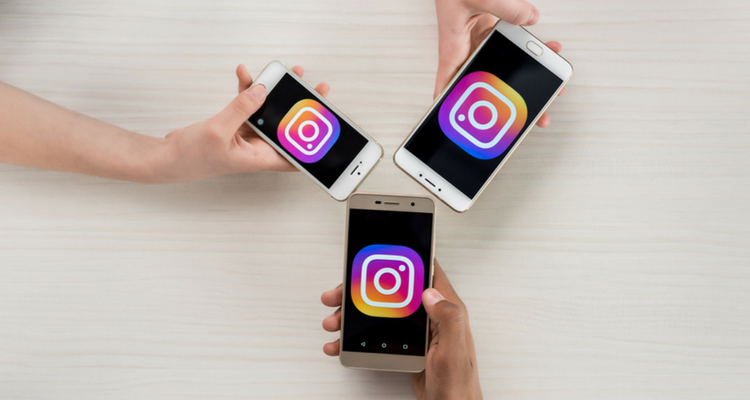 And rightly so, Instagram has shown us time and time again that it is capable of eating its competition: think Snapchat and Instagram stories. IGTV will focus on vertical video content up to 60mins long in a standalone app as well as the existing one. The old favourites like YouTube and Facebook support traditional landscape media or have algorithms favouring horizontal video but IGTV is all about supporting the way people usually view videos on their devices: vertically. This understanding of how people consume media on the go has led to the creation of a platform that makes it easier to consume, meaning your followers are much more likely to actually watch it. However, IGTV has brands all over the globe scrambling to create videos in the new specs and format. There is no repurposing videos from other channels and we’re all forced to frantically film and edit multimedia for the Stories dimensions of 1,080 pixels by 1,920 pixels, or an aspect ratio of 9:16. Paid advertising was not part of IGTV at launch but (no surprises here) IG will be exploring ways to help monetize their content in the future. It seems clear that IG owner Facebook are making a concerted effort in the longer-form video game in order to capture even more user attention and drive up in-app time across their flagship platforms: Facebook with Watch, and now Instagram through IGTV. For now, brands should observe how communities across both platforms take to watching longer-form video and whether content creators see significant uptake before diving straight in. It’s also a pretty big ask for users to watch branded content up to 60mins long so, as with all content, brands need to think deeply about the types of content they can offer in this space that will provide value and entertainment to the audience (not just glorified TVCs). Hey, I'm Annie but my friends call me Mo. I’ve been doing this for a decade – first for the big guys (like The Iconic, eBay and Matchbox) and now for smaller (but way more amazing) businesses.